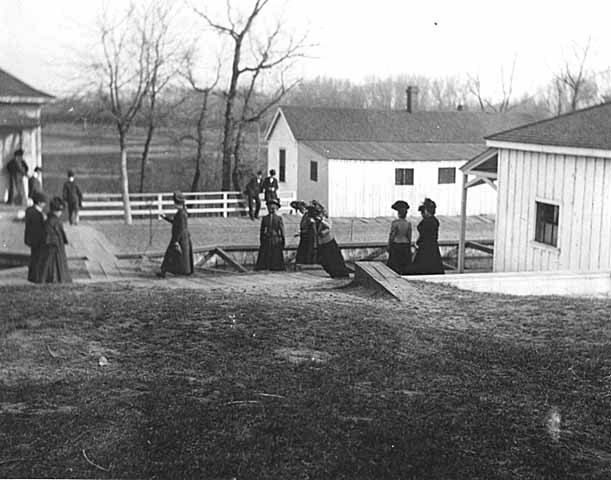 Located at the foot of Indian Mounds Park, Willowbrook Hatchery was started in 1878 by the newly formed State Fish Commission. Raising fish to stock the lakes and streams of Minnesota was—and still is— an important state function and the site below Dayton’s Bluff was an almost perfect spot for such activity. 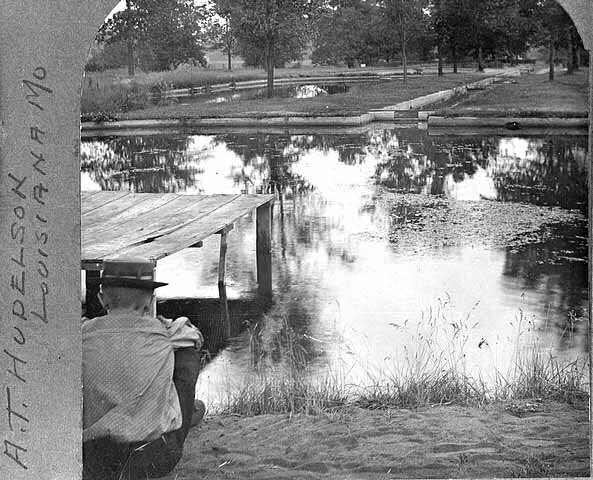 The hatchery utilized ponds to catch the water that came flowing out of springs in the bluffs. The nearby railroad tracks made it easy to ship fish throughout the state. By 1894, 1,212,000 Brook Trout and 31,600,000 Walleye Pike had been produced and distributed. It became a tourist attraction and contemporary writers tell of the large number of visitors from all over the state who came to stroll around the hatchery grounds. There was also mention of people from “neighboring camps” possibly referring to the frequent gathering of “hobos” near the railroad tracks. Senator W. W. Dunn and others “engineered a private subscription” for the purchase of a number of acres of land that was donated to the state provided they continued to raise fish on it. 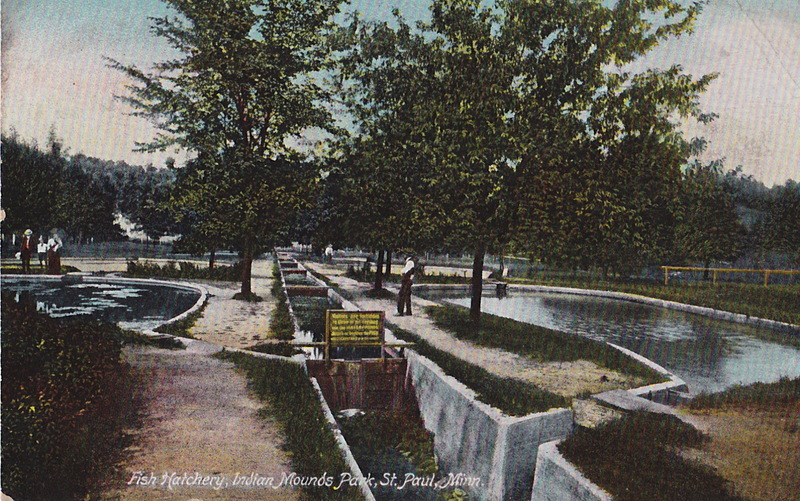 The development of Indian Mounds Park on the bluffs boomed the tourism at the Hatchery which was soon expanded to include sixty-two acres. One Dayton’s Bluff resident wrote that on balmy Sunday afternoons in the early years of the Twentieth Century, “whole families walked to Indian Mounds Park, thence down the long and steep pathway to the fish hatchery where there were several outdoor pools containing large fish, the likes of which some of us had never caught.” Later a small zoo was added as an additional attraction. Today the fish hatchery remains below the bluff, but its operations have been greatly reduced. They still hatch Muskies and raise them to fingerling size before sending the fry, as they are called, to state ponds for further development. The zoo is long gone and Warner Road was cut through the center of the site during the post-war era. The old road and the trails are over-run and their remnants are barely visible but could be resurrected at some future date. There is still one large pond and, in case you ever wondered about it, that’s where the fish from the DNR’s State Fair display spend the rest of the year. 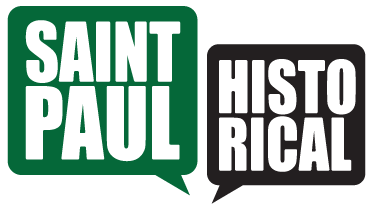 Steve Trimble, “Something Fishy Below Dayton's Bluff,” Saint Paul Historical, accessed April 18, 2019, https://saintpaulhistorical.com/items/show/5.